MBARARA – The Principal Judge, Dr Yorokamu Bamwine, on Monday flagged off a hands-on training on Case Preparation on Plea Bargaining at Mbarara Main Prison. The training attracted actors in the criminal justice system as well as a team comprising legal experts as well as students from Pepperdine and Yale universities. The team was led by Prof Danny DeWalt, the Associate Dean Administration and Leadership Development at Pepperdine University. In a brief made by Mr Innocent Draville, the Officer in Charge of Mbarara Main Prison, 300 inmates had expressed willingness to take part in the exercise. “Initially, only 118 inmates had enrolled for plea bargaining but when the Mbarara Senior Resident Judge came and sensitised inmates, another 110 signed up…we also got 67 others from Kakyika and eight women,” said Mr Draville. 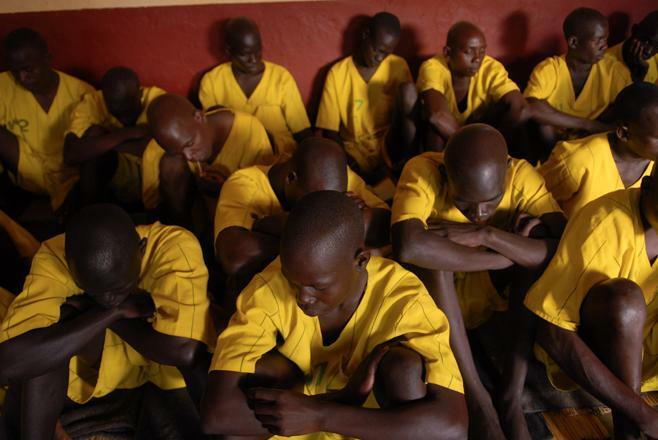 Mbarara Main Prison holds 1,820 inmates, of these 856 are remand committals and 655 are convicts. The Regional Prisons Commander, Frank Byamugisha, thanked the Judiciary for their efforts in decongesting prisons through innovations such as Plea Bargains. The Principal Judge took the inmates through the process of Plea Bargaining – where an accused person pleads guilty in exchange for a lenient sentence. He added that bargains are not entered into merely to save court’s time. He said he was looking forward to a time when plea bargaining will be included in Uganda’s criminal justice jurisprudence. The inmates representative, Kassim Byaruhanga, said the inmates needed more sensitization on Plea Bargaining and Sentencing Guidelines because some inmates prison terms had been increased after signing on the agreements. Justice Jane Frances Abodo of the Criminal Division of the High Court has started handling the plea-bargained files to expedite the process. The Principal Judge was accompanied by a number of judges who included; Supreme Court Justice and Chairperson of the Case Backlog Monitoring Committee, Richard Buteera; High Court Judges – Dr Henry Peter Adonyo, Dr Flavian Zeija, Gadenya Paul Wolimbwa and Joyce Kavuma. Others included the Registrar High Court, Tom Chemutai, Judicial Officers from the Mbarara High Court circuit, a team from International Justice Mission as well as students from Uganda Christian University.